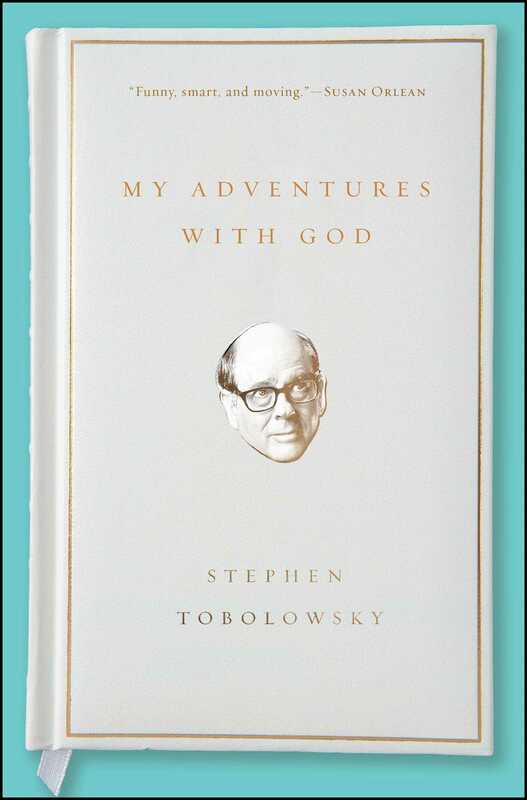 A delightful collection from legendary character actor Stephen Tobolowsky—who currently appears on The Goldbergs, HBO’s Silicon Valley, and the serial podcast The Tobolowsky Files— “a series of true stories that wrestle with a big idea: how belief shapes our lives. Funny, smart, and moving, this is a wonderful account of our relationship with the unknowable” (Susan Orlean, New York Times bestselling author of The Orchid Thief and Rin Tin Tin). 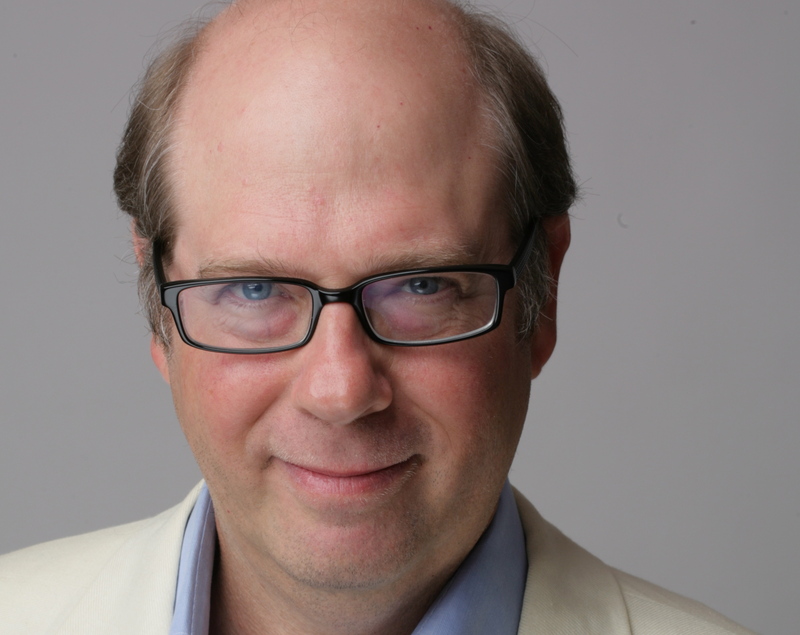 In My Adventures with God, Stephen Tobolowsky explores the idea that most people’s lives seem to fit into the template of the Old Testament. We all have powerful creation myths: tales of our childhood and family, our first battles won and lost. It is our Genesis. Then, like in the Book of Exodus, we go into slavery. Rather than building pyramids, we lose ourselves in fear and ambition—in first loves, first jobs, too many dreams mixed with too much beer. We eventually become free, only to wander in the wilderness. At some point we stop and proclaim to the universe who we are. This is our Leviticus moment. We reconcile what we thought we would be with what we have become. We often attempt a mid-course correction. Then, as in the Book of Numbers, we are shaped by mortality as we bear the loss of family and friends. Finally, we retell our stories to our children hoping to make sense of the journey, like Moses did in Deuteronomy. Tobolowsky’s stories tell of a boy growing up in the wilds of Texas, finding and losing love, losing and finding himself—all told through the prism of the Torah and Talmud, mixed with insights from science, and refined through a child’s sense of wonder. My Adventures with God is a “fast-paced, precise, wide-ranging, and impressive book draws on the I Ching, Talmud, Einstein, Grimms’ Fairy Tales, and reruns of SportsCenter to create counterpoints when discussing his life of faith. This is a well-told, must-read…for anyone interested in a comedic adventure with the divine” (Publishers Weekly). My mother read me bedtime stories. Every night she picked up the large illustrated volume of Grimms’ Fairy Tales and transfixed me with talking frogs. By the time I was three I had learned there are two types of fairy tales. There are the good ones: in which loyalty is rewarded with love, and kingdoms are granted to simple yet honest souls. And there are the bad ones: where the children are eaten, treasure is turned to straw, and the poisoned princess sleeps for a thousand years. With Grimms’, I never knew what I was going to get. The ratio of happy to horrible stories became detectible in the frequency of my nightmares. Uncertainty is the subtlest form of tyranny, and eventually, I became afraid of the dark. The product of my terror was a monster that took up residence in my bedroom. His name was Eye the Monster. That’s “Eye” as in eyeball, because I thought eyeballs were scary. Not “I,” the Freudian “I,” as in this child needs a psychiatrist. Eye terrified me. But occasionally he hinted that his task was not to threaten, but to protect. He promised to come out of the closet whenever danger was near. “Night noise? What’s a night noise?” I asked. Unconvinced, I went back to my room. I got into bed and pulled the covers over my head. That’s when I heard Eye. He called my name. Eye said, “You can’t hide from me. Come out. Now!” I began to cry. I forced the covers back and got out of bed. Shaking with fear, I walked to the toy closet where Eye lived. I opened the door. He wasn’t there. I heard his voice behind me. I turned. Nothing. Then Eye spoke, again. He told me he moved from the closet to under my bed. He wanted to be closer to me when I slept. There was no comfort in that. I was never sure if Eye was my fear—or my salvation. I always wondered what happened to Eye. He was such a constant companion when I was three, four, and five. It takes a lot of energy to create and sustain an entire monster. If you believe what Einstein tells us, that energy cannot be created or destroyed but only changes form, then what new form did Eye take? Where does our fear of the dark go? My theory is that over the course of human history our fear of the dark has turned into science, art, and religion. Science to measure the darkness; art to show us its beauty; and religion to teach that light is around us all the time, we just have to believe in it to see it. During the era of Eye the Monster, I tried many things to ease my fear. I tried science, in the form of a night-light. I tried art, focusing more on the “good” bedtime stories. And I even discovered prayer. I had never prayed in my life. I didn’t know what a prayer was. I learned about it in our first-grade reader. There was a series of drawings showing “What Good Children Do.” Being good was important to me. One of my chief concerns, besides Eye the Monster, was the Naughty and Nice List that Santa kept. In the last month my teacher had taken away my cookie for opening my eyes during rest period. I had to stand in the hallway for using my desk as a set of drums. And once, I had even made my mother cry. I feared I was falling onto the Naughty side of the ledger. Chapter One said that a good start to the day was to wash your face, brush your teeth, and comb your hair, to say “please” and “thank you”—and at night, to say your prayers. “It’s when you talk to God,” she said. After dinner I got dressed for bed. I combed my hair just like the boy in the picture. I tucked my pajama top into my pajama pants and knelt down beside my bed. I folded my hands. “What do you say when you pray?” I asked my mother. What? Were they serious? This is what I was supposed to say to God? “If I should die before I wake?” I was horrified. I’d rather take my chances with Eye the Monster. That was the last time I said that prayer. My fear increased. Now I was certain I would die in my sleep and be on the Naughty List. It was under this dark cloud that I experienced my first conspiracy: the possible collusion between my mother, father, and Santa Claus. I knew we were Jewish and by all rights should not have celebrated Christmas. We did not have a chimney, which should have made any Santa contact problematic. But we lived in Oak Cliff, a suburb of Dallas, home to only three Jewish families. My mother and father were sensitive to anti-Semitism and feared other children would taunt us if we appeared different. Secretly, I think my parents were afraid of our being different whether we were taunted or not. Mom and Dad decided not to give gifts during Hanukkah, but to go with the Santa scenario and give us presents on Christmas morning. That way we wouldn’t have to feel like outcasts during our first show-and-tell when we went back to school. However, it wasn’t going to be as simple as celebrating Christmas in the good old-fashioned, nonreligious, strictly commercial way: with a tree, presents, and hot cocoa. My mother felt guilty that she was betraying her Jewish roots. As a compromise, we had no tree, and in its place, thanks to a thought process that baffles me still, we got our presents under the dining room table. Like all children on Christmas morning, we were up at dawn. We raced into the dining room and crawled between the chairs to get under the table. We scurried in the dark for presents that had our name on them, occasionally banging our heads on the hard mahogany. “I put a note out for Santa to use the back door,” said Mom. That disturbed me. It meant either we were leaving our house unlocked, which seemed unsafe, or Santa had our key, which seemed creepy. “What is Santa going to do without a tree?” I asked. Deferring to Santa worked until I was six. I was in the first grade. My doubts troubled me. I had no one to talk to about it until one afternoon after school, right before Christmas vacation. It was a sunny, cold December day. I was heading over to Dougherty’s Drug Store to read comic books before I walked home. I heard a classmate call, “Hey Stephen, where you going?” I turned around. It was Dwayne. I didn’t spend much time with Dwayne. He didn’t live in our neighborhood so I rarely played with him. I had never spoken to him one-on-one. He was a special kid. He had already turned seven, and I imagined him to be a much wiser fellow than me. He was handsome. He always made good grades. The teachers liked him. He never played the bongos on his desk or got into trouble. Our school gave him a blue ribbon for being the “Best Citizen” for the entire first grade. Today, he was wearing his ribbon pinned on his sweater. It was flapping in the cold wind. I was a little starstruck. As we walked, Dwayne asked me if I was looking forward to Christmas. I gave him an enthusiastic but conflicted, “Sure.” Dwayne paused, looked off in the distance, and then turned back to me and said that he believed in Christmas, but wasn’t sure he still believed in Santa. A fellow skeptic! I didn’t tell him about the presents under the dining room table, I just swallowed hard and told him I was on the fence about Santa, too. “Yeah, it’s hard not to be,” Dwayne said. “Last year I thought I heard something on the roof. It could have been a sleigh . . .” I said. “Do you have a chimney?” asked Dwayne. I was staggered by the profundity of his remark. That night, my mother read me a story of children getting baked into a pie. She kissed me on the forehead and told me to sleep tight. I couldn’t. I felt the emptiness of having lost something dear. It wasn’t just Santa. I forced myself to stay awake. I waited for Eye to emerge from the darkness. I wanted to have a conversation with him. Maybe he could explain it all to me. I stared at the closet door. As it began to open, I promised myself that whatever he told me, I wouldn’t be afraid. I’ve always remembered my exchange with Dwayne. For years I assumed it stuck with me in that it was the only real talk I ever had about the Santa Crisis. But as I look back, I think it was memorable because it was my first crisis of belief. That was more than fifty years ago. Many crises of belief have come and gone. I recently went back to Dallas at Christmastime. It was not for anything as festive as opening presents under the old mahogany table. I came back for my mother’s yahrzeit, the anniversary of her passing. It’s always a hard time for my family. A trip back home would give me a chance to see Dad, reminisce with my brother and sister, and sleep on my unsleepable bed, the very same one I had as a child. When that salesman told Mom and Dad my bed would last a lifetime, they took him at his word. A trip to Dallas also held the potential for archaeological discovery. My mother saved everything. She tucked the bits and pieces of our past in the most improbable places for safekeeping. After she passed away, we became painfully aware she never left a map. Sure enough, the first night home I found an old manila envelope at the bottom of my underwear drawer beneath a pair of pajamas last worn when I was in junior high school. Inside the envelope was an edition of my elementary school newspaper, The Jefferson Davis Times. I looked through the little paper. On the back page was a picture of our first-grade class taken in front of the school. I studied it and there was Dwayne! He was sitting next to me with his “Best Citizen” ribbon pinned to his shirt. It is the only picture I have of him. I silently thanked my mother for one of the best Christmas presents ever. I wrote Dwayne’s words in the margin out of fear that one day I may forget them. It had an unexpected effect. I looked at the photo of all those six-year-old faces standing in front of Jefferson Davis Elementary, surrounded by the words: “It is always easier to want to believe in something than it is to say it never was true.” It became a grim school motto. Dwayne’s proverb seemed to speak of false prophets and the mechanism they use to enter our lives. His wisdom still shook me to the core—but then again, he was seven. I put the paper down on the little broken bedside table and turned out the light. I began to drift off with the image of our class photo and Dwayne’s words swirling in my head. I have discovered we often find things when we need them. Maybe all the scraps of paper Mom had saved over the years weren’t a product of her nuttiness at all, but were meant for me to unearth every now and then as some sort of amulet of protection. Instead of a warning about the ease of self-deception, now Dwayne’s proverb was talking about hope. He was saying the ability to believe is always present, always available. Belief is what gives us the power to see beyond the obvious. In the face of loss or disappointment, belief is the source of renewal and endurance, the foundation of the science of second chances. I was momentarily startled by a sound on the roof. A night noise! Now I recognized it as the central heat kicking in. Knowledge is the ultimate protection against the dark. I laughed when I realized my first thought was wondering how Eye was doing. Some monsters never go away. I lay back down and closed my eyes. In an instant, I was back with Dwayne, about to cross the street on that cold afternoon before Christmas. He laughed and put his hand on my shoulder. We looked both ways and ran to Dougherty’s Drug Store . . . and I was in one of the good bedtime stories. I fell asleep and had pleasant dreams.